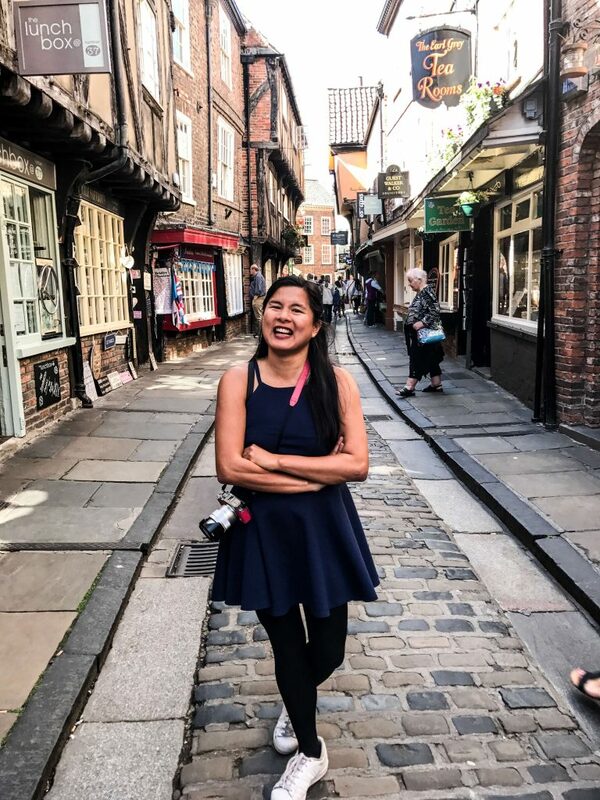 York, United Kingom is one of the most interesting cities in the entirety of England, with its amazing gothic architecture, rich history, and mouthwatering meal options. It’s funny though, how I got here. I literally didn’t have any accommodations left to book in Edinburgh. Yes, none! I searched wide and far. Apparently, in Scotland, the weekend gets really booked, so if you want to stay there, it’s not possible to do a last minute booking. I ended up booking a train ticket to York, and I didn’t regret it. As I’ve said before, for any city that there is a Free Walking Tour, I try to do it the moment I arrive to give me a good orientation and history of the city plus tips on where to go. Footprints Tour does this every weekend at 11am and 2pm. Don’t forget to tip the tour guide what is due them. 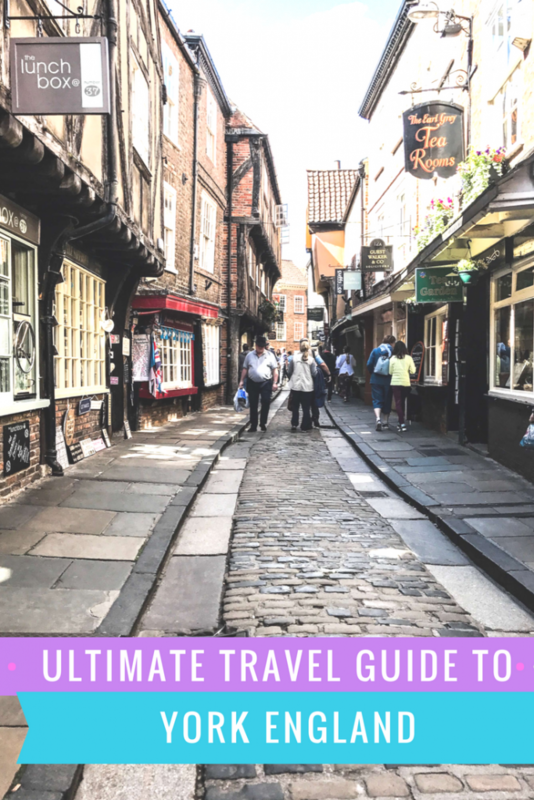 The Shambles is an old street in York which is rich in history and culture- but you’ll enjoy it all the more if you happen to be a Harry Potter fan, because guess what? That’s the area where the book’s famous Diagon Alley was taken inspiration from! There are lots of tea places and quaint shops here too. I had tea in Earl Grey Tea room and I loved the ambiance. The décor was vintage and classical, walls lined with antique-like artifacts as well as tea cups and pots. 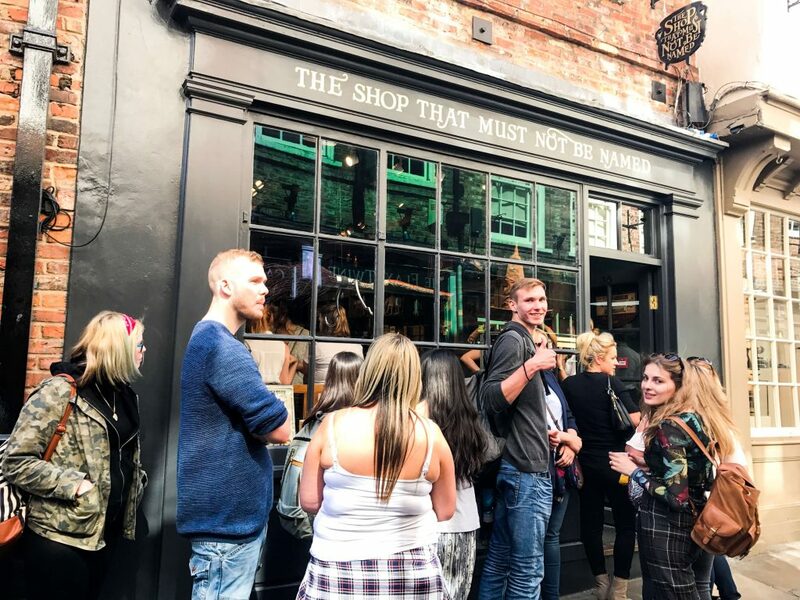 You will also find the Harry Potter Shop here- If you’re a Potter head, you simply can’t pass this opportunity to nab yourself some souvenirs of the well-loved book series. Beware though, there is a line. They close at 5, so be sure to arrive way before then in order to obtain a more wholesome experience. 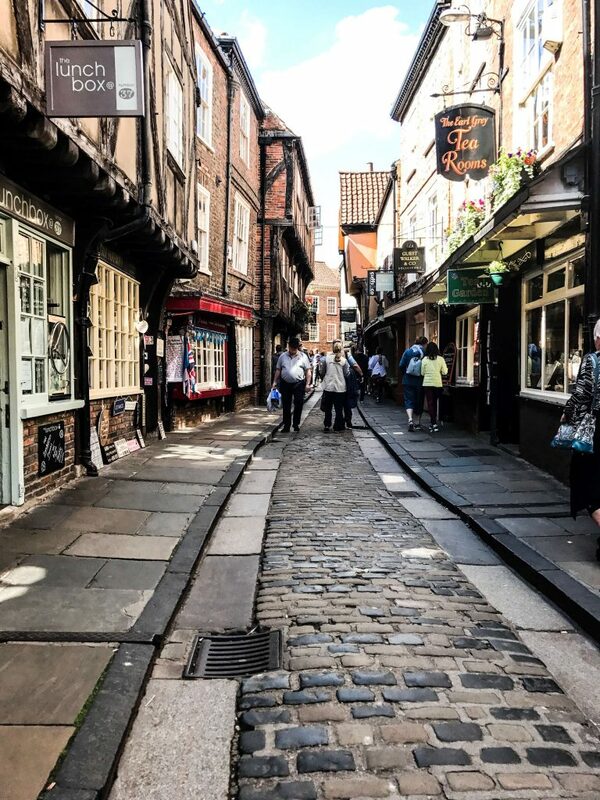 The city of York is famous for being a walled city, so why not enjoy the uniqueness of the architecture by taking a walk around? You’ll be able to admire the innovative build of the brick barrier and feel as if you’ve gone back in time. Betty’s Tea House is one of the most iconic restaurants in the city, and that says quite a bit considering how stuffy Brits are with their tea! You’ll be able to enjoy tea and cakes in an incredibly elegant ambience. It is a family-owned tea house with lovely Yorkshire and Swiss-inspired delicacies, and just so happens to be one of Britain’s best companies to work for. Why not give some support to this well-loved spot that’s been around for so long it’s practically historic? Without a doubt, a worthy dessert shop to visit when you’re in the mood for tea and sweets. I bumped into Crumbs Cupcakery and the ambiance drew me in quickly. It’s a cute little cupcake shop with a very homey feeling. I didn’t know what to order since they had a lot of selections that just screamed “take me”. Honestly, if I was with someone I would have but since I was alone, I had to pick one. I took the chocolate orange and I didn’t regret my choice. 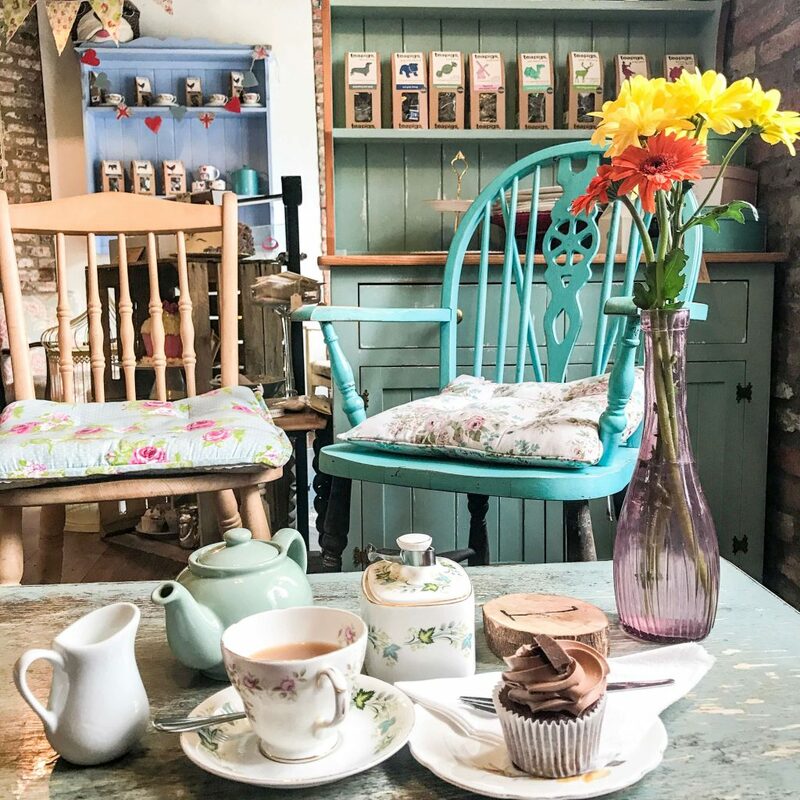 I also tried their Yorkshire tea while sitting in their overly cute, very instagrammable cupcake shop. Love haunted locations and everything about them? 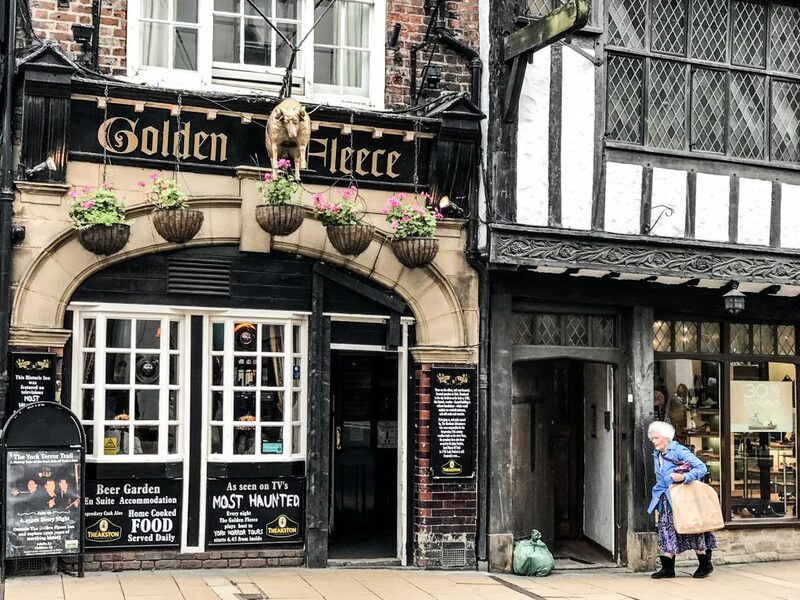 Golden Fleece is the most haunted pub in the entire city, and definitely the place to be if you want a good “scare”. Not to mention: the drinks are amazing, I can’t say much for the food though as it was too busy when I was there and I didn’t get to try it. When I was in York, I met a lot of people who just went there for the weekend to party. 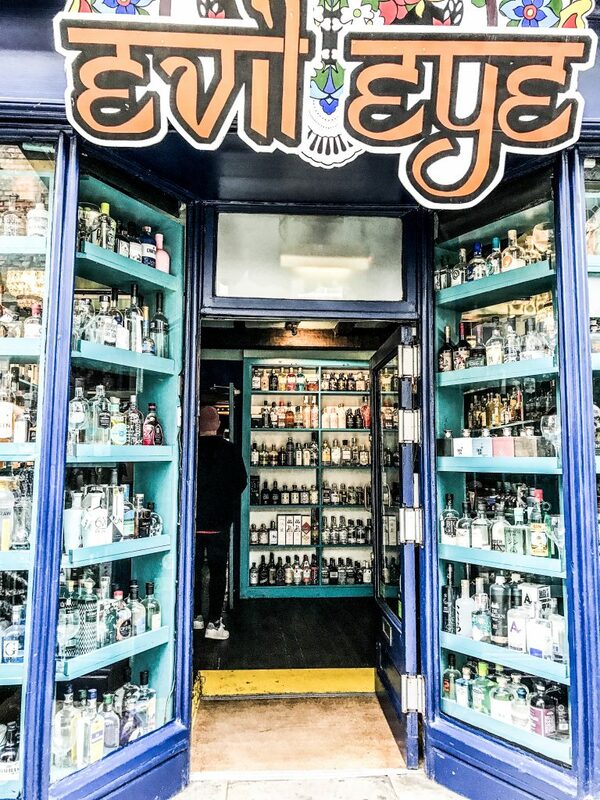 One of the guys I met in the hostel, who isn’t a newbie in York took us to Evil Eye. They had really good drinks and a very wide selection. The place upstairs is also very cozy, it has different nooks and comfortable sitting area. Feels like a place to have a group hang out. The strawberry daiquiris and mojitos are to die for, if you’re looking for a recommendation. Got a raging sweet tooth? 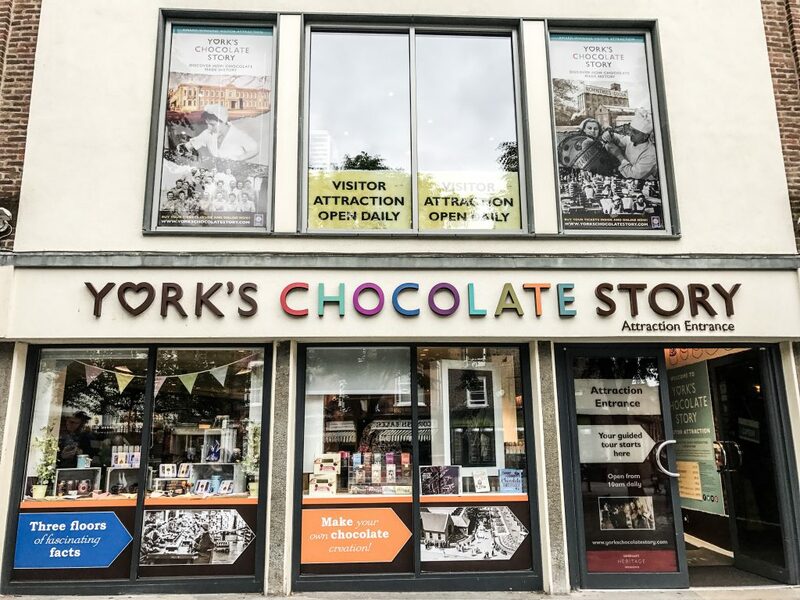 Satiate it at the York Chocolate Story museum. 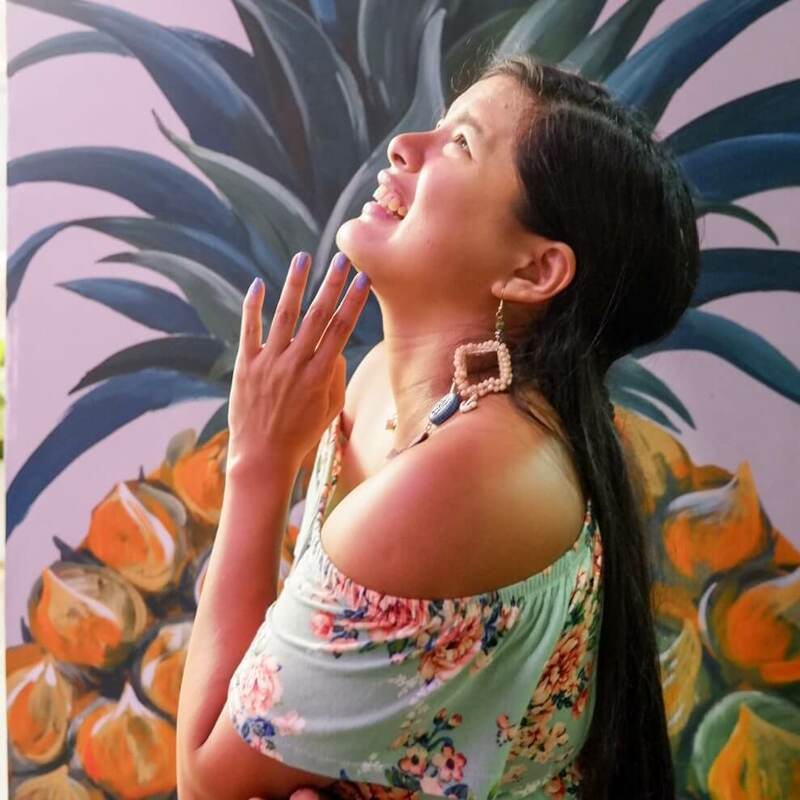 You’ll be able to learn all about the history of your favorite chocolate and enjoy sweets and hot drinks at their cafe and shop right afterwards. Prices per adult are around 12 pounds a person, but if you’ve got a kid under the age of 4 with you, they can enter for free! Doors open at 10AM and the last tour is at 5PM, so be sure to get there early! They’re open daily except for the Christmas holidays, meaning there’s lots of time to plan a visit. If there’s a single place you have to see in York, without a doubt it’s the York Minster. It’s one of the largest cathedrals in the entirety of Europe. Be sure to bring a camera, because the awe-inspiring sights of this piece of architecture will want to be saved. Admission tickets cost 10 pounds per person, so be sure to take that into note when visiting. 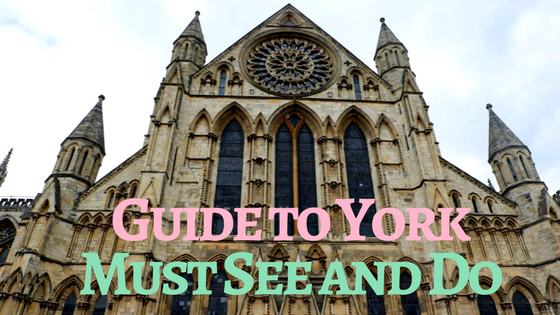 The best sights to be seen on the York Minster are on the roof top, and visiting said spot is one of the most popular things to do in the city. Try it yourself! Curious about history? You’ll be able to satisfy that need for information at the Jorvik Viking Center and learn all there is to learn about Vikings and their origins! A definite must see, so book your tickets as soon as you can. They’re open daily from 10AM to 5pm. Prices vary depending on the type of access you want, so check out their website for more information. It’s incredibly popular, so try and nab a spot as early as you can. The York castle is one of the most stand-out structures in the entire city. It is a fortified building consisting of various smaller structures and it definitely needs to be at the top of your to see list! The historic air and sophistication of this popular tourist attraction will make your visit unforgettable. It’s open from 10-4 everyday, so be there early in order to bask in the environment for longer. 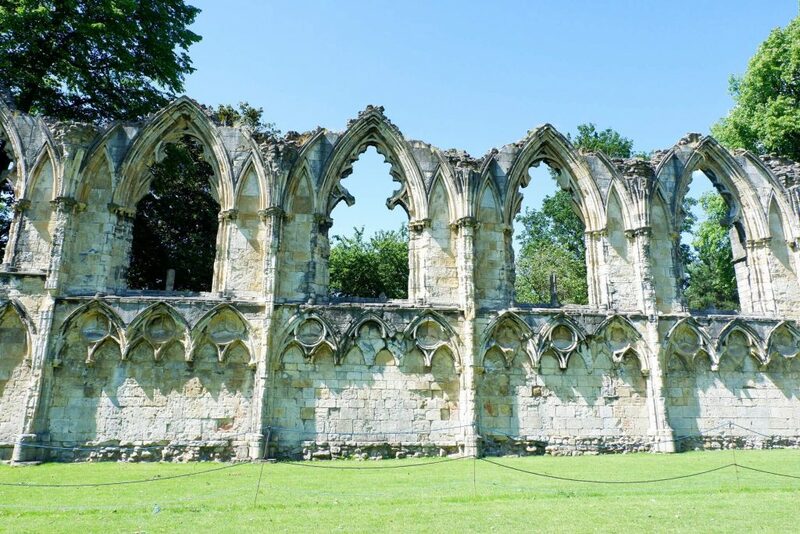 This is one of the most awe inspiring ruins in York, so be sure to check it out while you’re there! Sit back and relax, just enjoy the view- it’s the perfect place to do so. This location used to be one of the most powerful Benedictine monasteries in England, a place wherein monks and clergymen came to study and worship. If you love nature and history, you’ll be able to experience a mix of the two at the York Museum Gardens, home to beautiful botanical gardens which go on for yards and yards. Or, just like the others, you can spend time just laying back and enjoying the surroundings. Want to see more of the city without breaking the bank? Well then, add the York Railway museum onto your list because it just to happens to be free. 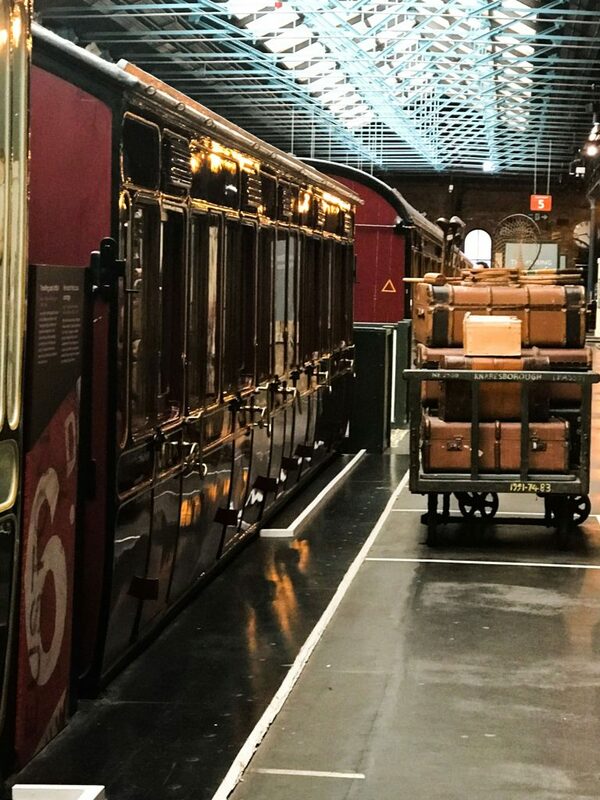 It tells the story of the United Kingdom’s largest railway system, and is a popular tourist spot especially for individuals interested in the area of practice. It’s also good for pictures, if you’re into that. Everyone knows the best views of York can be found at the top of the Clifford Tower! Book a tour and enjoy the panoramic sights all while learning about the interesting history behind it- be prepared for quite the gruesome history lesson, however, because the tower was not only used as a treasury but also for war purposes, including but not limited to the Jewish Massacre. It is a definite eye opener and is more than worth the visit. 1.) The Principal York – Like the other luxury hotels on this list, The Principal York just oozes elegance. The unique thing about this place is that it makes you feel just like royalty, because you’ll be temporarily residing in a Victorian Mansion. It is located in Station Road, and it is convenient as well. The York Train Station is right next door and the city centre as well as The Shambles are only a quick walk away. 2.) The Grand Hotel & Spa – This location has unique and exclusive amenities, such as a 14 meter swimming pool as well as a hot tub, sauna, steam room and treatment rooms. Like the name suggests, the hotel doubles as a spa. Not only does this hotel offer five star treatment and numerous luxuries, but it is also in a convenient location. The city center, rail station, and the Shambles are only a walk away, meaning you don’t have to sacrifice any time at all whilst traveling. 3.) The Churchill Hotel – This hotel was created in commemoration of Winston Churchill, and it has some decorative artifacts there in relation to him. If you happen to be a history enthusiast, this might just be the perfect hotel for you. The rooms are very spacious and you will be able to access many different spots such as the city centre, because this hotel just to happens to also be located there. 4.) Dean Court Hotel – This luxury hotel provides top of the line services in a building that looks just like an olden home. 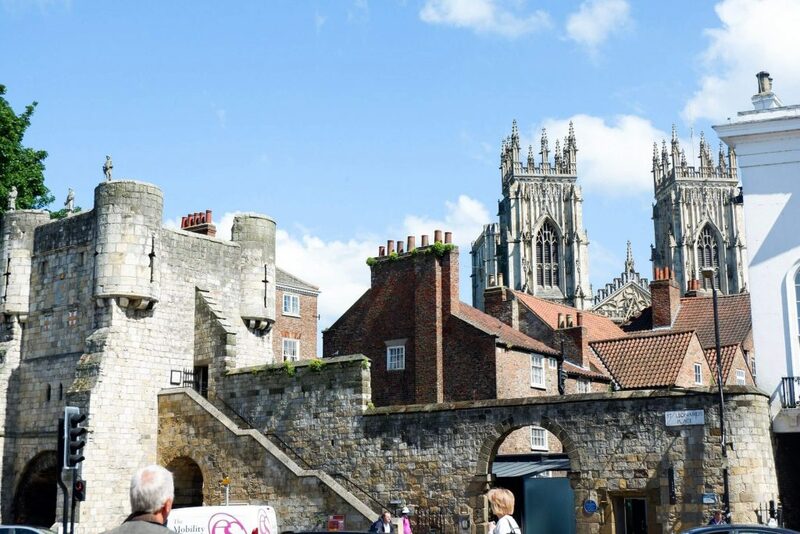 Other than the expected amenities, you won’t need to drive and go on public transport in order to explore, because this hotel is just right across the York Minster and a short walk away from the Jorvik Viking Centre and the Shambles. 5.) Mount Royals Hotel & Spa – Last but not least on the list of luxury hotels is the Mount Royals Hotel & Spa. It is located at the Mount, York, and has a small but adorable exterior and interior that makes you feel as if you’re living in a local’s home. You can enjoy a bar as well as a coal fire in the location. It is just outside York, but still within walking distance to everything the city has to offer. 1.) Chelmsford Place Guest House – What makes this location so endearing is that it is a house, not a hostel nor a hotel. It makes you feel more like a local instead of a tourist. This guest house is located at Fulford Road, just a walk to York’s historic centre. The railway station is also just a kilometer a way. The prime location of Chelmsford makes it a popular accommodation. 2.) 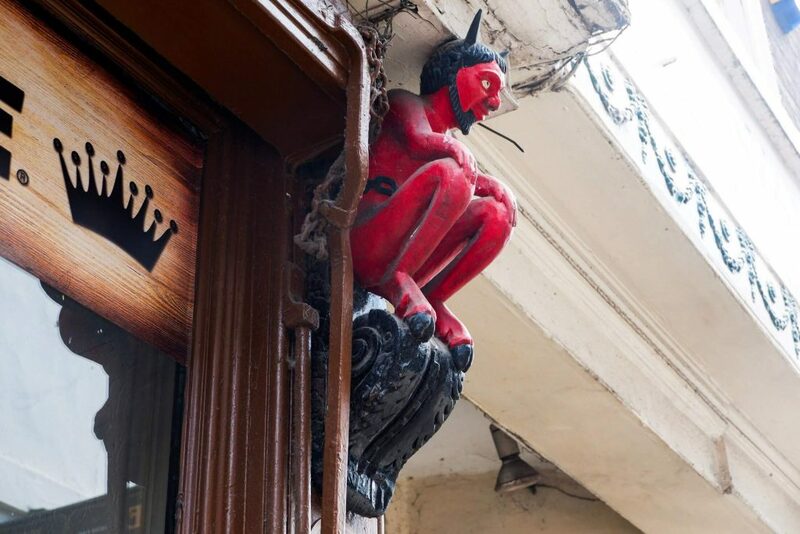 Hotel 53 – If you book at this hotel during your stay, you’ll be able to walk right out and see a view of all of the popular tourist destinations such as the Cliffords Tower, The Shambles, and the York Dungeon. It is a simple enough hotel but the location at the City Centre makes it worth its price. 3.) Staycity Aparthotels Paragon Street – This location is the global bestseller in the city of York, and for good reason. 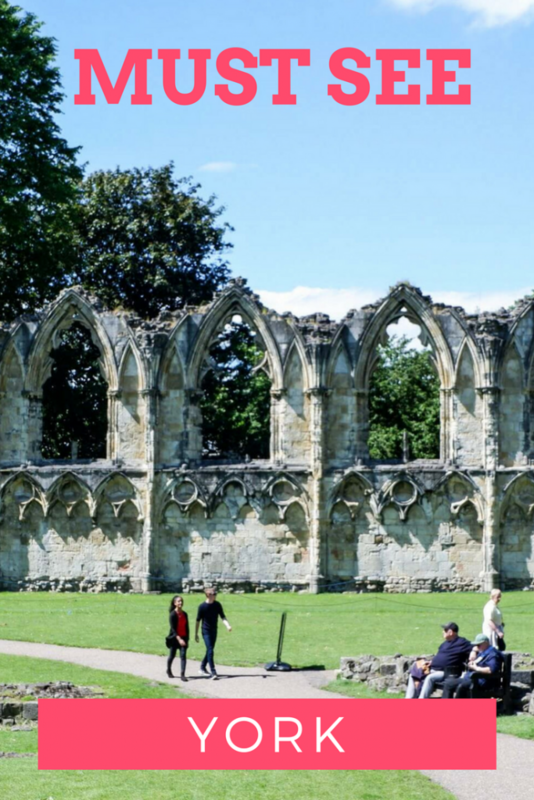 Great tourist destinations such as York Barbican, York Minster, and Castle Museum are all accessible via a short walk. Not to mention their amenities are more than top of the line, and at a great price at that. 4.) The Minster Hotel York – This is another hotel located at the city centre. 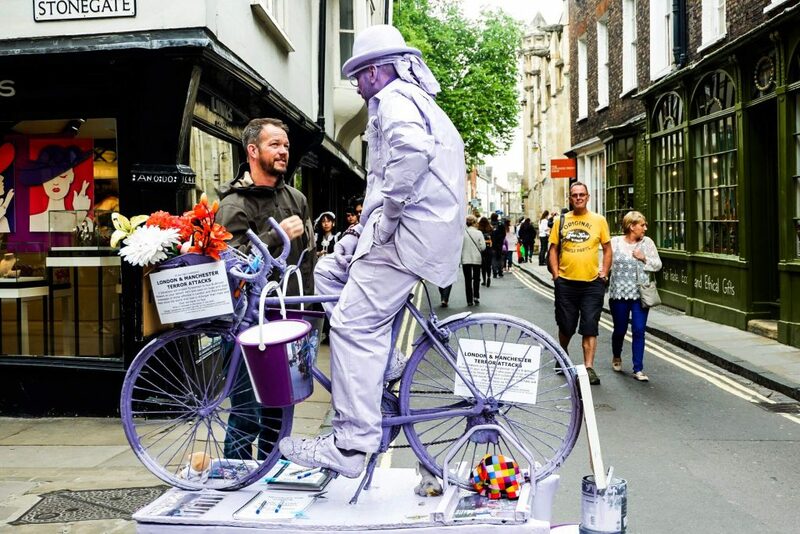 It is incredibly near areas such as the King’s Manor Library, Gillygate, York Minster as well as York Minster Library. The rooms are spacious, with quality sometimes surpassing that of a 3-star hotel. The bedrooms are nicely decorated as well, which is a nice touch. 5.) Middletons Hotel – The fact that this hotel is placed right in the heart of the city of York makes it unique, and a stand out from all the others. If you choose to book at this hotel, you can simply walk to any nearby tourist spot or sight you please, such as the Grand Opera House and York Dungeons, not to mention even the York Rail Station and York Racecourse. 1.) Safestay York – Safestay York is one of the bestselling hostels in York, a homely Georgian town house that makes you feel as if you’re a local in the city. Despite being a budget hostel, they have very spacious rooms as well as free WiFi. The great part about Safestay is its proximity to all of the popular locations, being only a few hundred meters away from York Railway Station. York Minister and the popular Shambles are only a walk away as well, making it a prime location for tourists to reside in. 2.) Travelodge York Central Hotel – This is another hotel located in Piccadilly, York. The exterior is reminiscent of a castle, good for individuals who want to get the full essence of York during their stay. 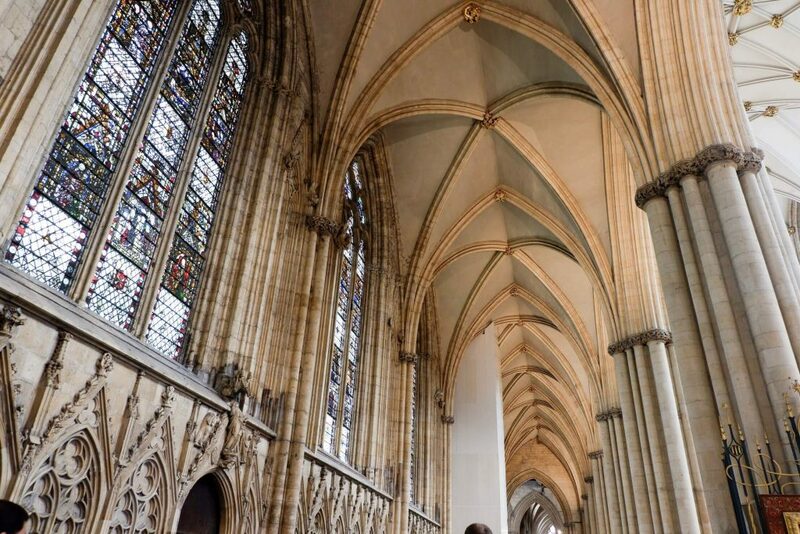 The best part about this location is that it is only around a mile away from the York train station as well as the York minster cathedral, and because of this you might just be able to overlook some of the lacking amenities. 3.) Premier Inn York South West – This accommodation is located in Bilbrough Top, York, and is a bit father away from the prime tourist destination than its other budget counterparts. There is a restaurant and bar on sight and with a rented car, you will be able to access all of York’s popular spots with ease. 4.) Hotel ibis York Centre – A very clean and tidy location in The Mount, York. A bar and breakfast buffet is available inside the building, as well. 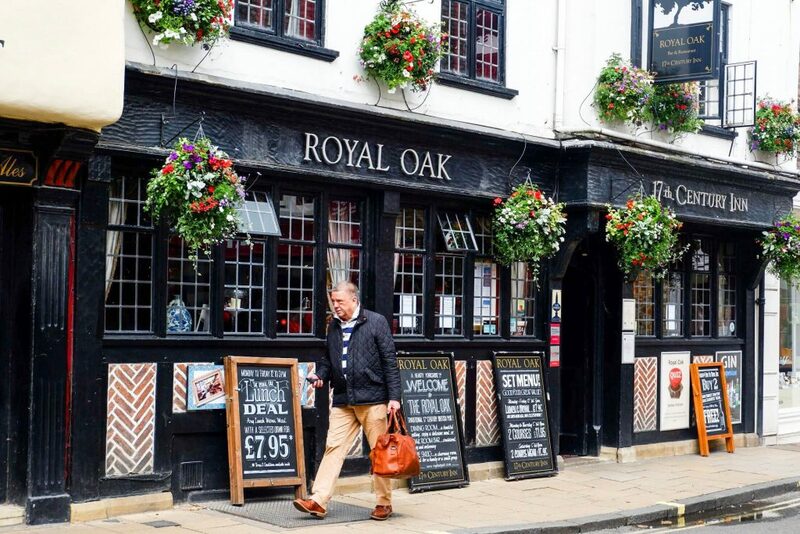 Its location makes it close to a wide variety of popular spots like the York City Walls and Cliffords Tower, and you can walk to Central York and York Railway Station easily. 5.) 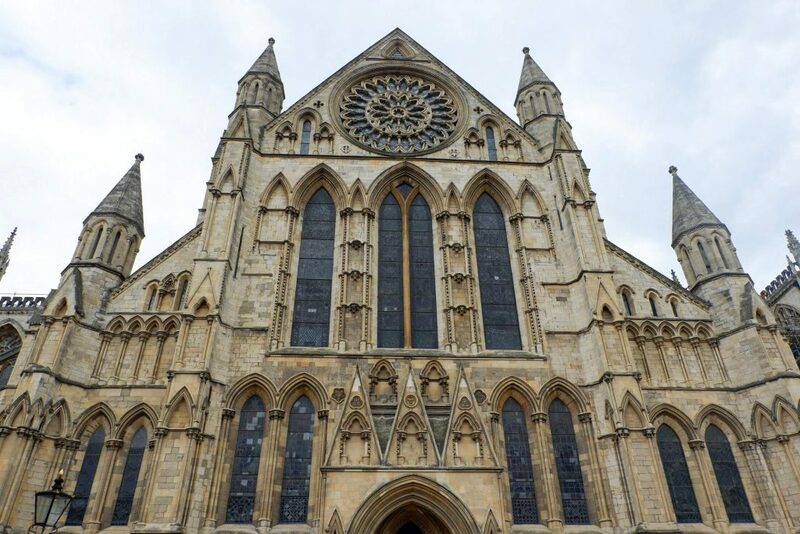 Holiday Inn Express York – What’s great about this hotel is that it is located only a few miles away from York Minster cathedral and York Castle, easily accessible by a rented car since it is located in Malton Road. The rooms are simple and modern like all of their worldwide branches, and come with free WiFi and television.